Little is known about Saul’s family, except that he was the son of Kish, who was of the tribe of Benjamin. It is interesting to note that Saul of Tarsus, whose story is recorded for us in the New Testament, was also a Benjamite (see Rom. 11:1 & Phil. 3:5). We have already seen how Saul met Samuel, and something of the circumstances in which he was chosen and anointed to be king over Israel, but now we examine some of these details again—this time from Saul’s point of view. 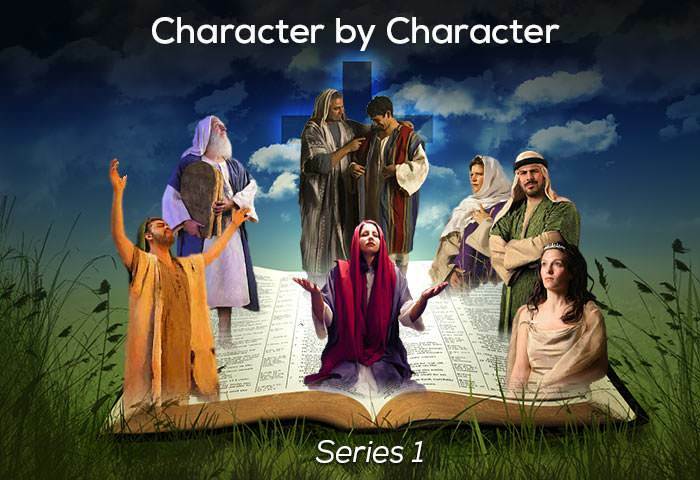 Although Saul turned out to be a disappointment to both God and to Israel, when we first meet him he appears to have some excellent character traits. Look them up for yourself: obedience (9:3), respect (9:7), politeness (9:18) and modesty (9:21). What do you think is the prime quality which God looks for in those He selects to do a special work for him? Courage? Faith? Ability? All of these are important, but the prime quality is character. As someone once said: “No character—no consequences”. Before Saul was presented to the people as the king of Israel, God took care to prepare him for the task in a number of ways. First He dealt with any doubts Saul may have had about his divine calling by inspiring Samuel to anoint him and give him several signs (vv. 2-6). The three signs which are given to Saul all take place on his way home, thereby convincing him of God’s calling and election. Secondly, He moves within the depths of Saul’s personality and changes his heart (v. 9). Later, an assembly is convened at Mizpah and lots are cast—a common practice at that time—to find the family which is to produce the king. When Saul is named, he is overcome with diffidence and hides among the baggage. God shows the people, however, where he is hiding—thus confirming him to be the man of His choice. 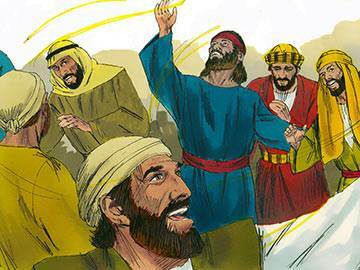 Did you notice that although most of the people gave their allegiance to Saul, there were some who disliked him? (v. 27) It should not be expected that when God calls you to do His work, everyone is going to applaud you and pat you on the back. This principle, if recognised, can save you from a good deal of heartache. Have you learned it yet? After Saul has been appointed as the first king of Israel, he returns to the quiet and humble task of tending the cattle, but soon an incident takes place which thrusts him into prominence. Returning from the fields, he hears that the Ammonites have come against the men of Jabesh, and instantly Saul’s patriotism is aroused. 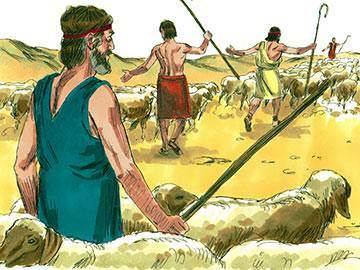 The Spirit of God comes upon him, and cutting in pieces two of his oxen he sends some of his men throughout the length and breadth of Israel with the message: “This is what will be done to the oxen of anyone who does not follow Saul and Samuel” (11:7, NIV). The fear of the Lord falls upon the people and they rise up as one man to overcome and defeat the Ammonites. In the joy of their great victory the tribes gather at Gilgal, between Jericho and the Jordan, where Saul is made king, after which Samuel gives the coronation speech. How did you get on with the thought we suggested at the end of the last section? Did it dampen you somewhat? Then take heart: when the men who previously despised Saul saw the Spirit of God at work in him, they completely changed their attitude (11:7). Read Prov. 16:7 and take it as the Lord’s word to your heart today. 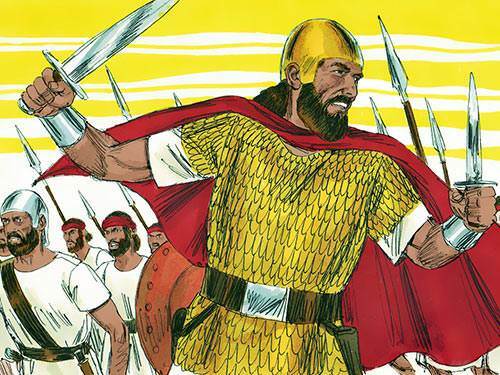 For two years Saul prospered as king over Israel—then difficulties begin to occur. Saul recruits a small standing army of 3000 men, considering them to be more effective than the much larger militia which is at his disposal. He places 1000 men under the command of his son, Jonathan, who succeeds in overrunning the Philistine garrison at Geba. This sparks off a massive retaliation, and once more a general mobilisation is necessary to meet the Philistine invasion. 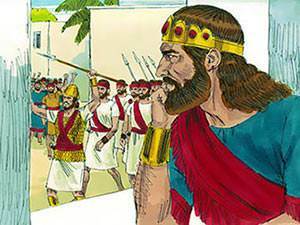 Saul waits for Samuel at Gilgal, as arranged, but seeing his army beginning to disperse, Saul usurps Samuel’s priestly office by offering sacrifices in his absence. 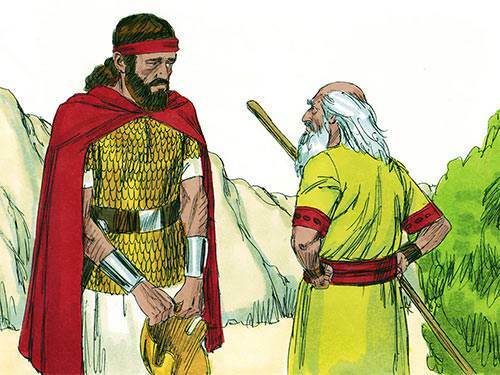 Arriving soon after this event, Samuel rebukes Saul for his presumption and announces that he will be replaced by a king after God’s own heart. Notice that Samuel called sin—sin, and did not cover it up as we too often tend to do. We live dangerously when we allow an act of disobedience to pass as an act of prudence. Learn to see every sin for what it is—a violation of God’s principles—and confess it without delay. 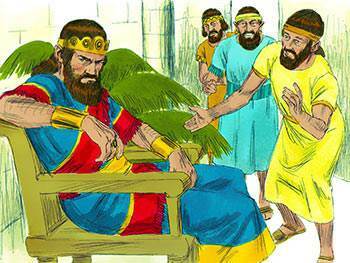 King Saul demonstrates his spiritual and moral deterioration, not only by his sin of presumption and impatience, but also by his disobedience and rebellion. Sent by God to exterminate the Amalekites—a warring tribe who had fought against the Israelites on their way into the Promised Land—he listens to the voice of the people and only partially obeys the Lord’s instructions. 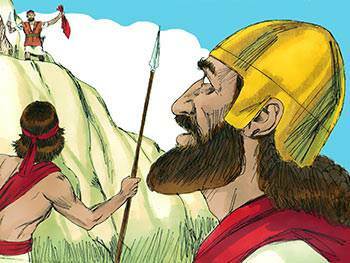 He keeps the best sheep and oxen for himself and although he destroys the Amalekites, he spares Agag, the king. Later, when accused by Samuel of disobedience, Saul attempts to justify himself, but Samuel affirms that he is no longer fit to be king and that he is to be rejected by God. 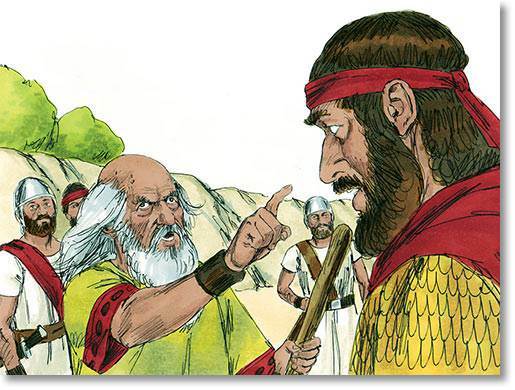 Samuel calls for Agag and carries out the death sentence upon him. Every heard of ‘selfism’? It’s the desire to have one’s own way and ignore what anyone else does or says. Unfortunately Saul was plagued with it—and so are many modern-day Christians. ‘Selfism’ is a downward path, and one which leads away from God. Make sure you are not on it. Saul’s rebellion and subsequent rejection by God results in the Spirit of God departing from him, and it is not long before an evil spirit takes hold of Saul and begins to control his life. The presence of the evil spirit produces in Saul periods of deep depression and frenzied outbursts of rage. 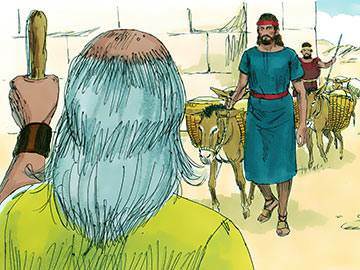 David ministers to Saul during his times of depression and is able to bring him some relief. Later, when Saul hears the women singers placing David’s exploits above his own, he becomes insanely jealous and tries to kill Israel’s new king (18:9-11 & 19:9-10). Twice David spares Saul’s life. 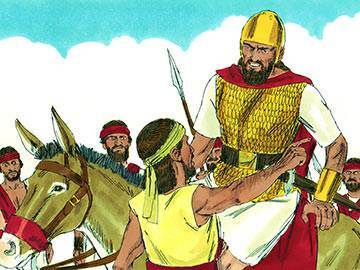 Because of Saul’s jealousy and hostility, David becomes an outlaw but gathers around him a loyal band of men (1 Sam. 22:1-2 & 23:13). According to Scripture, every human being is a slave to something. Read Romans 6:16, and you will see what we mean. We can choose to let God and grace rule over us—or allow sin and Satan to dominate us. Whose slave are you? Now that Saul is bereft of divine guidance—the Spirit of the Lord having departed from him—he turns to another supernatural source for instruction. Disguising himself, he consults a medium—an act strictly forbidden by Jewish law (Lev. 19:31). To Saul’s and the medium’s surprise, God allows his request to consult Samuel (now dead) to be granted. Samuel appears before Saul and pronounces imminent doom upon him, and the following day this prediction is fulfilled. 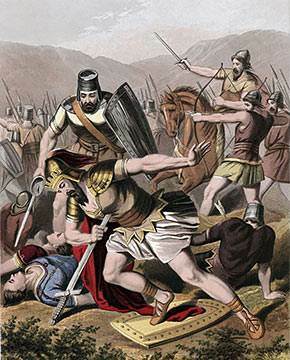 The Philistines go to battle with the Israelites and rout them, overtaking Saul and his sons. Saul is badly wounded and, rather than surrender to the Philistines and suffer the ignominy of defeat and torture, chooses to kill himself by falling on his sword. Few people take a leap into spiritual degeneration; they usually move down the slope a step at a time. And what are those steps? They are egotism, pride, abuse of power, jealousy and self-will. Saul trod them and finished up a failure. Pause right now and ask God to protect you from placing your feet on any one of these slippery steps. Pillars, like foundations, supported the earth which was round and flat (1 Sam. 2:8; Job 9:6; Psa. 104:5). The arch of the heavens (the firmament) rested like a dome on the mountain tops (Job 26:11; Job 37:18). Waters, under the earth and over the dome, had been separated by God at the creation (Gen. 1:6-7; Psa. 24:2). Floods came from the waters of the Great Deep below and rain came through the "windows" in the dome (Gen. 7:11 & 8:2). The sun, moon and stars moved across the dome (Psa. 19:4 & 6). "Sheol", the home of the spirits of the dead, lay within the earth (Num. 16:30-33; Isa. 14:9 & 15). Now you can see why Saul went to the witch of Endor to "summon up" the spirit of Samuel from the kingdom of the dead (1 Sam. 28:7-25): "And Saul said, Bring me up Samuel." However much we try to sympathetically understand the life of Saul, we cannot help but view him as one of the most disappointing of all the characters in Scripture. He appears at first to be every inch a king and is polite, prudent, respectful and modest. He ends up, however, being disobedient and jealous, and is finally rejected by God. There are many lessons to be learned from the life of Saul—one being that obedience to the Lord is far more important than achieving success in any other realm. The main lesson that we learn from his life, however, is that of the evil of selfism. He refused to obey God, set about having his own way and, as a result, fell from the highest position in the land to finish up as a suicide.